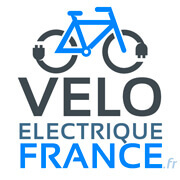 Brand VEF was created by enthusiasts of folding electric bicycle,We also want to offer products that can overcome the constraints related to the european standards of VAE, the assistance is too limited and makes for some very little comfort in their travel. This is the reason why we designed a range of folding electric bikes that have a throttle, start-up assistance, assistance, very supported on the roads hilly. All of our models comply with european standards, and are tested in our laboratories. The bikes are assembled in france. Buying a bicycle in BEAUFORT you will receive a warranty of 2 years on the parts of your bicycle and 5 years on the frame. The tires CST are another reference in the field of tires cyclist. The brakes V_BRAKE are the most effective in their field. The electric motors Are more powerful and silent.